We design, create and repair dentures. For a smile that is happy and healthy, turn to the team at the Alvarez Denture Clinic. 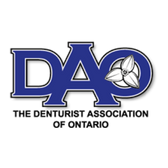 We design and create custom dentures in Ottawa for patients of all ages and backgrounds. We pay particular attention to the comfort fit, functionality and natural aesthetics of your new teeth, so that you can drink, eat and smile with confidence. Dan Alvarez, our denture specialist, has been in practice since 1989, after graduating from the George Brown College program of Denturism. He offers complete denture services, and designs, produces and custom fits every denture appliance himself. 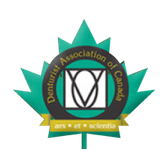 He is a licensed Denturist and a member of both the Denturist Association of Canada, and Denturist Association of Ontario. Realism - Dentures should not look like false teeth. We specialize in making your smile.  We take time in crafting your dentures to your specific requirements and needs. As you can see in our gallery, our denture appliances match the appearance of real teeth. Focus on overall health - The digestive process begins with the mouth at your teeth, and maintaining proper fitting dentures is the first step in maintaining a proper digestive system. Poorly fitting dentures can contribute to a number of digestive problems, and negatively affect your overall health. Ongoing care - Our office insists on a six month follow-up appointment after every new dental appliance is inserted. This is where we can detect any functional problems before they begin to cause damage to the gums, or bone. The continued quality of our dentures is guaranteed. We look forward to serving you and your denture needs at our conveniently-located clinic. Call the Alvarez Denture Clinic to schedule a free consultation.